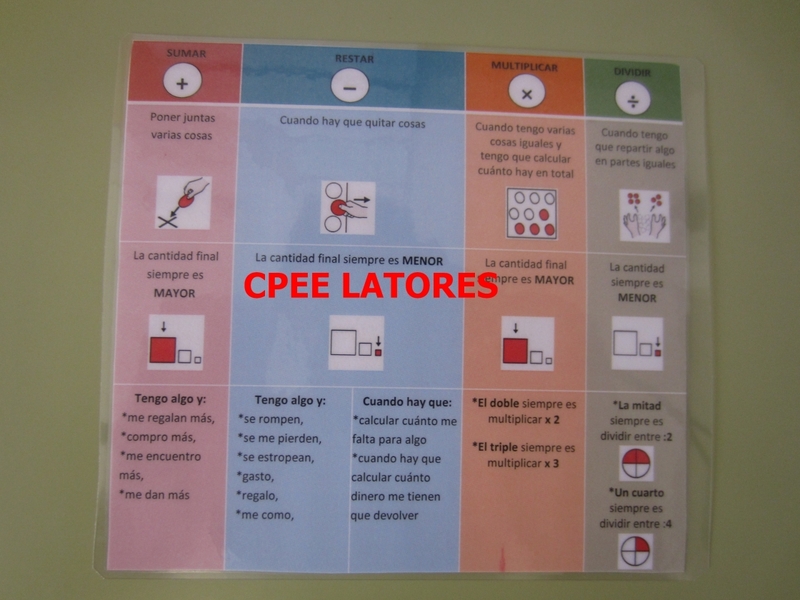 Visual support aimed at clarifying the concepts of the calculation Prepared by the CPEE_Latores inside of the CREEME Project (Resource Center for Special Education and other Specific Measures). This project consisted in the conversion of the specific center into a resource center for the ordinary reference schools of the students with autism enrolled in combined education. None to highlight. The support was very useful for the students.